A new baby you say? And she goes and picks up her knitting needles… because that’s how anyone who knits responds to the news that there’s going to be a new dinky person in the family… right? So I should probably introduce baby… kind of… My brother and sister in law are expecting, and have decided to not find out what they are having (beyond the fact it’s a baby), which means I am going to meet my first niece-phew (see what I did there? Neice-nephew? No? Ok I’ll stop) in March. And I have always said that any nieces and nephews I have will never want for handmade goods. 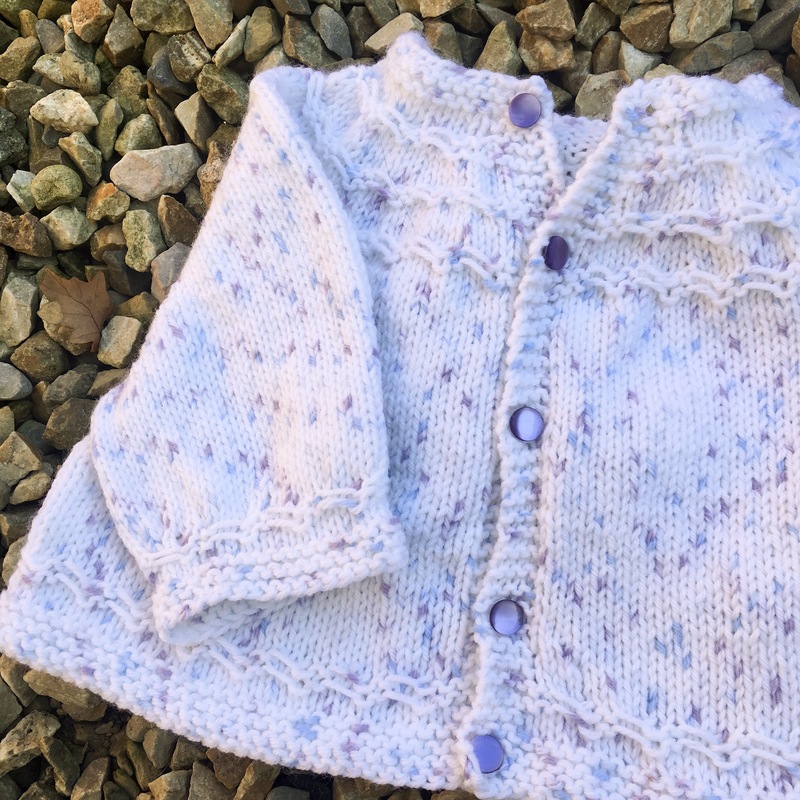 I went to visit the boy and my sister-in-law over the weekend (they’re foreign, they live in Ireland) and I wanted to take something over for baby, but I didn’t have time for anything big and elaborate… so cardigan it was!! Of course the whole not finding out thing did cause a little concern… I wanted to make something as gender neutral as possible. 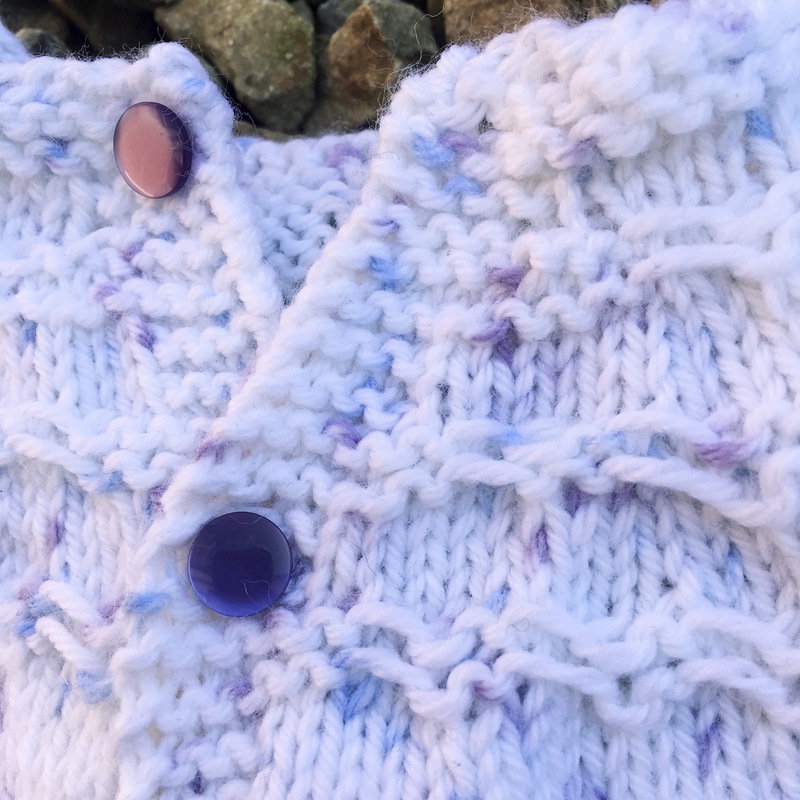 I found this Sirdar Snuggly Spots yarn in blue and purple. I reasoned blue for boy, purple for girl right? And located a fairly gender neutral cardigan pattern by Carole Barenys. 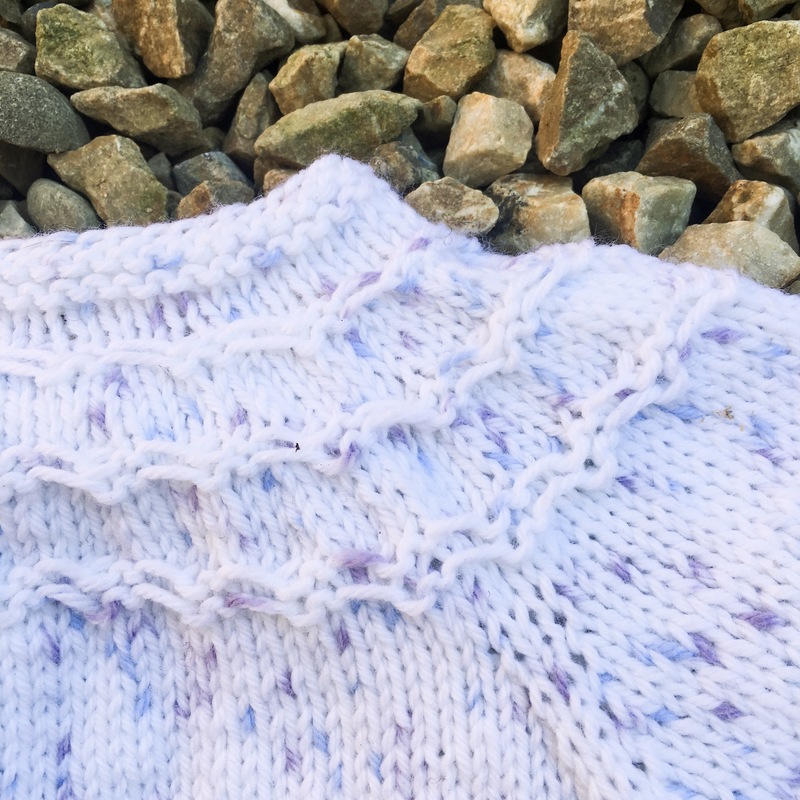 The yarn I cannot fault… it’s so soft it’s like knitting clouds! 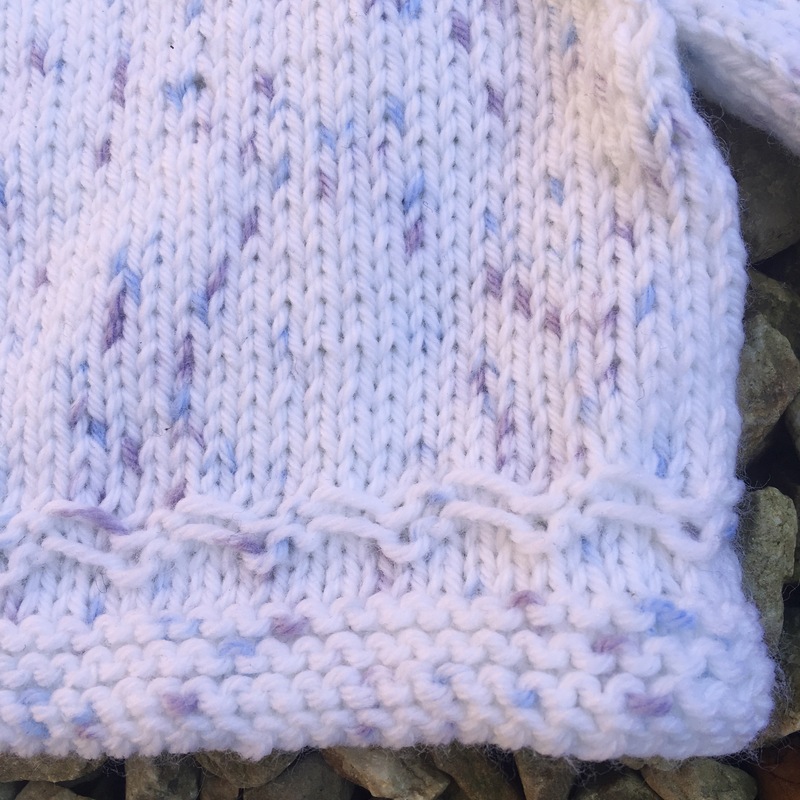 And the spots come out as lovely little dashes in stockinette, and more spot like in garter… perfect! The yoke has a nice wavy pattern to keep things interesting, the button band is built in… the less weaving in I have to do the happier I am! It has a raglan shoulder with the sleeve stitches being held and picked up later sort of affair… it was really quick to knit, but I did have one complaint about the pattern… it says to knit body to desired length. I’ve not been around many babies and can safely say I have no idea how long a baby is! Seriously! So I’m convinced this cardigan is too wide… or too short… take your pick. What do you think? It also says to knit sleeves to the same length as body… Oh you mean the body which I have no idea what length it’s meant to be… cheers for that! It’s a small complaint, but having a suggested length would really have helped me out! I even tried a last ditch attempt to lengthen it just a little (I didn’t have time for a rip back) so the bottom band is longer than the sleeves or neck. Hey I guess it’s a learning curve. 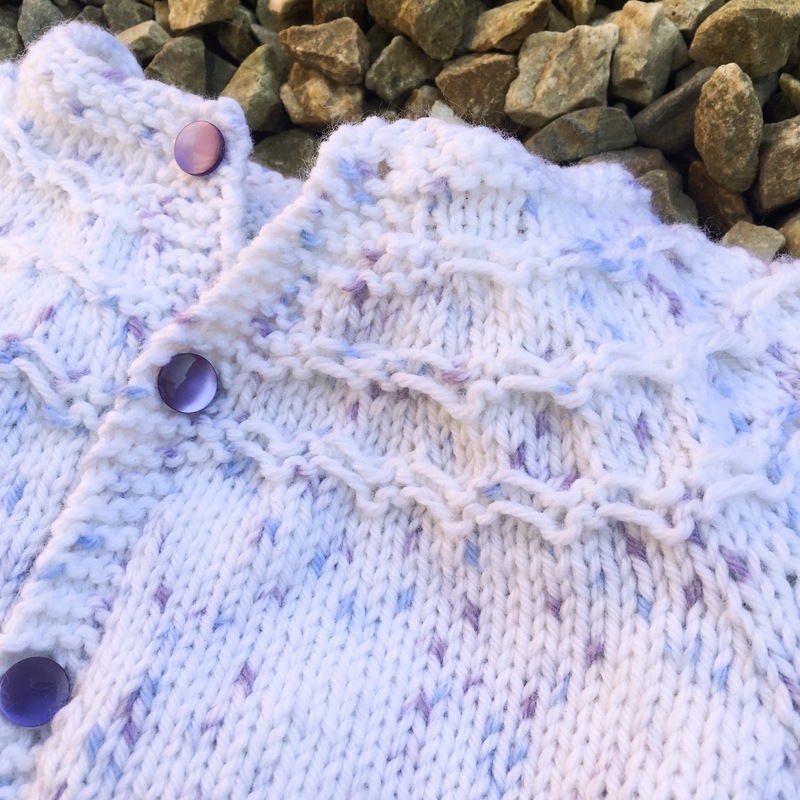 I finished the cardigan off with team girl (but also team boy appropriate) purple buttons. I’m really pleased with those, they match the purple spots beautifully! 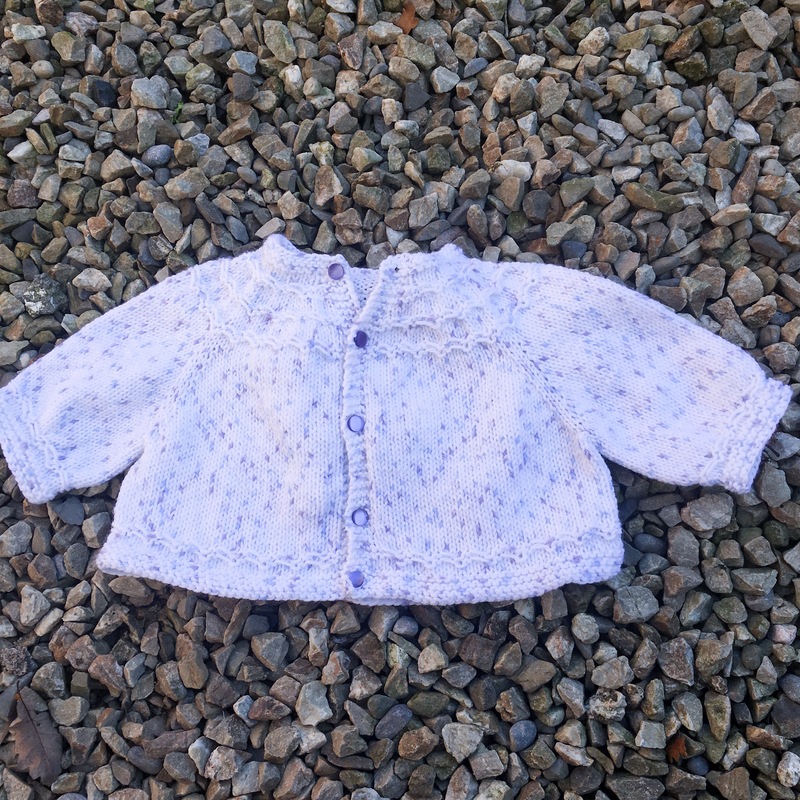 Anyway, as my first baby cardigan it’s pretty good. And the recipients loved it which gave me all the warm and fuzzies… And for an in-joke only my family will understand (sorry not sorry) baby has its first Kat Knit! Next Post Do we post about everything we make?